I am being stupidly productive this Spring Break. I started and finished three separate piece of work today, back-to-back, and honestly I should probably get up from my chair because being sedentary for this long isn’t healthy. 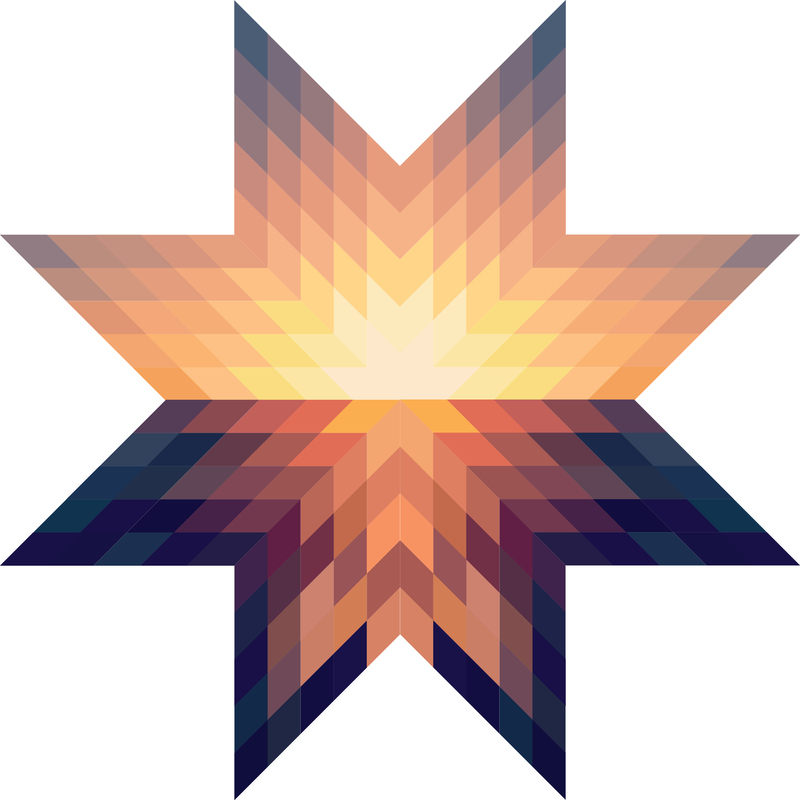 After doing two more Olly-Moss inspired illustrations, I needed a break, so I decided to do a Geometric piece of art, namely this Amish-Quilt inspired “Sunset Star.” This might look like it took some time to do, but honestly, it’s a lot faster than making an illustration. Once all of my diamonds are in place, it’s just a matter of choosing the right colors for the job, so really, this was the perfect project to take a break for. It was fast, fun, and I’m left with a nice-looking, satisfactory product. This entry was posted in Portfolio and tagged art, design, geometric art, graphic design, quiltwork. Bookmark the permalink. This is great. The horizon, the colors…well done!